The top 200 carparks will be reserved exclusively for the drivers and occupants of any model Subaru - making a weekend of skiing, boarding or playing in the snow even more appealing. Subaru drivers can now lock in August 20 and 21 on their calendars for the annual Subaru Top Weekend at Turoa skifield where they can look forward to some easy access fun on the slopes. The top 200 carparks will be reserved exclusively for the drivers and occupants of any model Subaru – making a weekend of skiing, boarding or playing in the snow even more appealing. “Subaru have held the much-enjoyed Subaru Top Weekend, intermittently for the last 11-plus years, where the top 200 car parks are reserved exclusively for the drivers and occupants of any model Subaru for one weekend over the winter season. Our team treat Subaru drivers to hot beverages and giveaways on arrival. 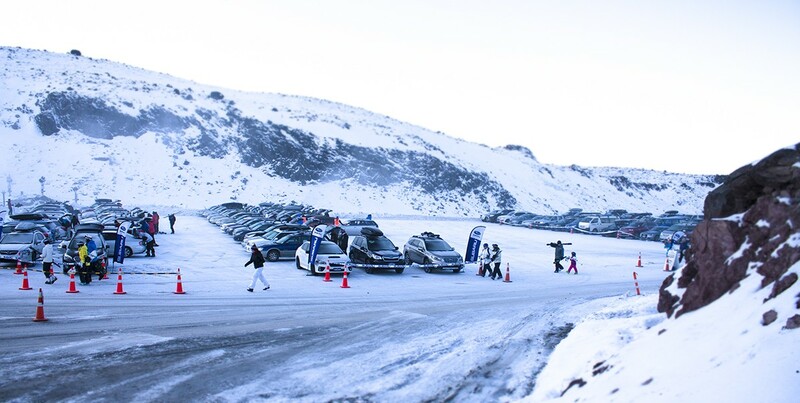 We’re pleased to announce that we’re heading to Turoa this year for the weekend of August 20 – 21 to welcome our All-Wheel Drive vehicles to the mountain,” says Wallis Dumper, Managing Director of Subaru of New Zealand. Mt Ruapehu opened recently with fresh snow, ensuring fantastic skiing and riding conditions across Turoa and Whakapapa ski fields. Both sides of the mountain now have enough snow on the ground for top to bottom skiing and boarding, with an upper mountain snow base of 92cm at Whakapapa and 117cm at Turoa. Subaru of New Zealand’s involvement with Ruapehu Alpine Lifts Limited (RAL) has meant the mountain has been meeting its match every winter for 18 years. 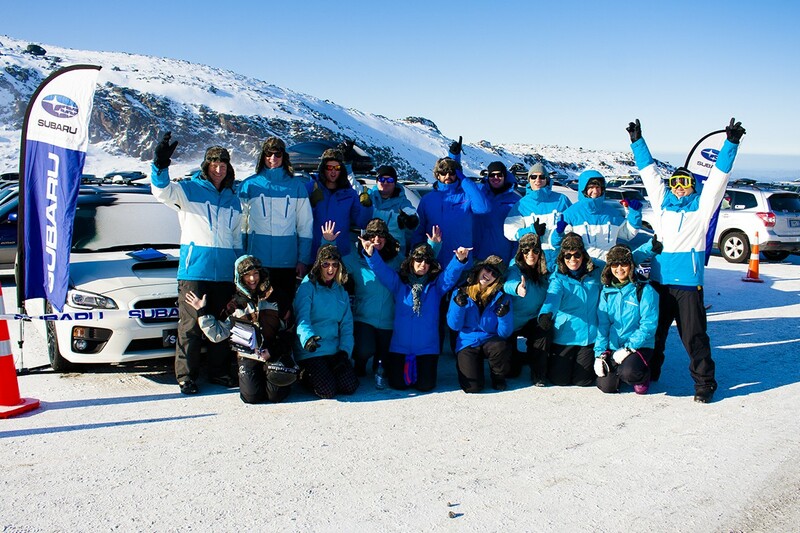 RAL runs the two commercial ski fields on Mt Ruapehu – Turoa and Whakapapa – and Subaru has been its official vehicle supplier since 1998, initially with Turoa, and now both Whakapapa and Turoa, following the merger. 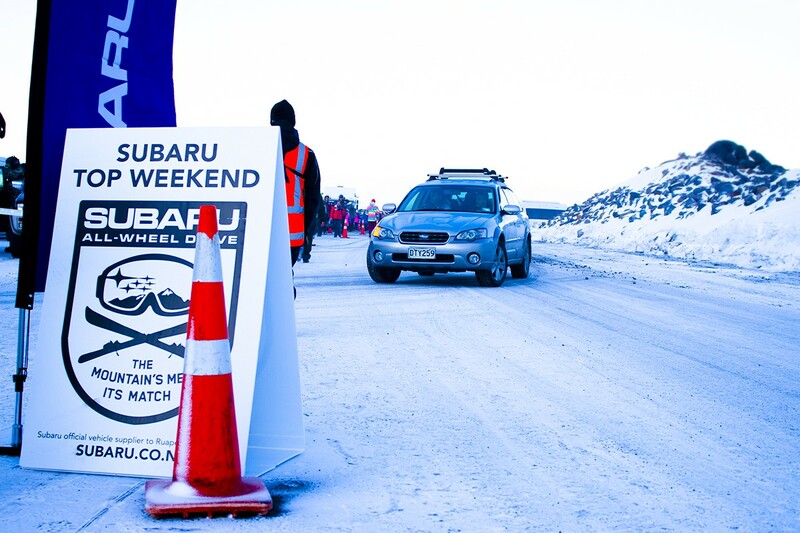 Mr Mazey describes the annual Subaru Top Weekend as an iconic event in the Mt Ruapehu calendar. “It’s about rewarding Subaru drivers, who also tend to be our keenest mountain goers, with the best parks on the hill. It’s a great weekend to be a Subaru driver,” he says. Mr Dumper says the relationship with RAL sees a fleet of Subarus on duty at the two skifields all year around. “Our cars are designed to get drivers up the mountain in whatever the weather, because regardless of whether you are heading up the ski field to the RAL office, or you are destined for a fun day of skiing or riding with your friends, the Subaru Symmetrical All-Wheel Drive system ensures you will get there safely. Don’t forget, if you are driving from Auckland or Wellington or anywhere in between, its not just the access road trip to plan, but also all the highways and biways in between,” Mr Dumper says. He adds that Subaru has always promoted its Boxer-engined models to snow enthusiasts and the latest offering will only add to the number of Subarus on route to skifields. It looks like more snow is forecast in the coming days and Mr Mazey expected the RAL skifields’ bases to grow as another front makes its way through. “The team have been working around the clock to groom trails and have our terrain parks in pristine condition for the season and upcoming events,” he says. Mt Ruapehu allows visitors to experience New Zealand’s two largest ski areas – with just one lift pass. Mt Ruapehu – Whakapapa and Turoa Ski Areas – are home to the most natural skiing and snowboarding terrain in the country; huge snow filled basins, lift-accessed backcountry, steep chutes, drop-offs and secret powder stashes. Mt Ruapehu offers something for everyone; fantastic learners’ facilities, terrain parks for snowboarders and freeskiers of all abilities, and the best spring skiing and riding in New Zealand. For the littlies (and big ones too) in the family, you can play in the snow or enjoy the free tobogganing area, a kid’s centre (Turoa only) and beginner packages. Otherwise, relax in cafes and enjoy the great food and coffee, or take a chairlift ride for elevated views across the Central North Island and beyond. Practice makes perfect: If you haven’t driven in winter weather for a while, find an empty, snow-covered parking lot and spend time accelerating, turning and stopping. After a few minutes of practice, you will have a better feel for how your vehicle will handle and you will be better prepared for driving in snowy conditions. Getting started: Before you hit the road, clear snow and ice from every part of your car, not just the windows. Make sure the wiper blades aren’t frozen in place. If they are, turn on the engine and use the defroster and rear window defogger to release them. Using a windshield washer fluid with a de-icing agent will help, too. If a door is frozen shut, don’t force it open – this can damage the rubber weather strip surrounding it. Try another door, perhaps one that is in the sunlight. As the vehicle warms up, check that the accelerator, brake pedal and other controls operate smoothly before heading out. Be sure your parking brake has released completely. Maximise grip: Check the tyres are inflated to the correct pressures, have more than the road legal 1.5mm of tread and only use a space-saver in an emergency. Carry chains for use in snow (especially if you don’t own a Subaru), and practice fitting them beforehand. Hitting the road: Winter driving conditions can affect your vehicle’s handling and braking ability, so take your time and drive conservatively. Press the accelerator slowly to get going. As you pull into traffic, keep an 8- to 10-second gap between your vehicle and the one ahead of you – stopping distances increase in snowy and icy conditions, and the extra distance will give you extra time to react. Watch for trouble as you drive: Stalled cars, patches of ice, poor visibility and snow-covered road signs and lane markers can make for challenging driving. As you prepare to stop, slow down gradually, particularly as you approach intersections. Look out for pedestrians and cars approaching on side streets. If they’re having trouble stopping, you probably will, too. At lower speeds, you can use the engine to help you slow down by shifting into a lower gear. Learn to read the road conditions: Black ice is tough to pick when it arrives in patches, but if there’s been overnight rain which has cleared to a frosty morning, think before you set out about what conditions this will mean on the roads. If your car has an external temperature display that can be a panel-saver as it will indicate whether the road is likely to be frozen. Remember too that even when it’s dry and the ice has gone, grit spread over a tarmac road can be like driving on marbles. Show consideration: Driving in ice and snow is stressful, and a little common courtesy can go a long way. Letting cars into gaps in the traffic, easing back rather than ‘closing the gap’ when someone is changing lanes help to keep things moving. If the driver ahead is far more timid than you in poor conditions, just take a deep breath. If you are driving a Subaru please understand that most cars do not have the Subaru invisible advantages! Avoid distractions: Steering one-ton or more of metal down a street or up a mountain is quite a responsibility, and it is a task deserving of your full attention. No texting or talking on your phone without a hands-free. Subaru vehicles are particularly well suited for winter driving. The Subaru All-Wheel Drive system automatically transfers power from the wheels that slip, to the wheels that grip. This translates into enhanced control and traction (effectively it’s safer). 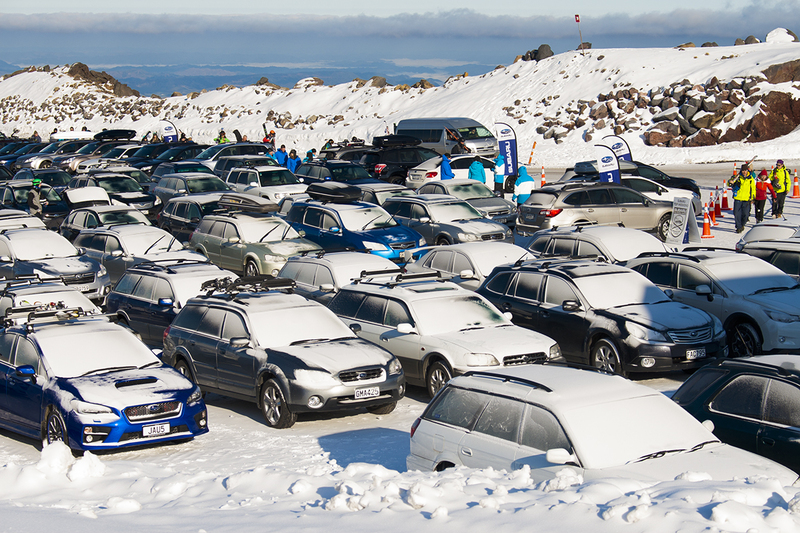 Remember, if you need a reminder of why Subaru is the ideal match for the mountain, simply look in the carpark at Turoa or Whakapapa, or the vehicles that the RAL team drive. They are in a Subaru for a reason!